This annual St. Clair County event will return on Saturday, June 11, 2016 – with a full day of free activities on land and water for the entire family! Picture this: A sunny day on the beach with friends. Sitting streamside in the shade of a willow tree. Floating peacefully on a quiet river. Feeling the tug on your fishing pole from a fish. 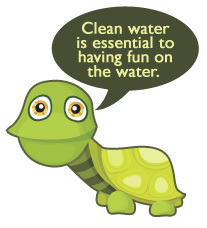 Clean water is essential to having fun on the water. This can all too easily be taken for granted, so since 2004, the St. Clair County Health Department has been organizing recreational activities in early June that allow everyone to celebrate, enhance and protect our beautiful rivers, lakes and bays. Introducing families to our precious water resources is our business. Through River Day we are committed to helping families enjoy a day together in the great outdoors. This love of nature creates memories and stewards that will last a lifetime. So whether you like to stay dry, get wet, play, learn or relax, it won’t cost you a thing to get out and have fun on River Day! This major habitat restoration project along the St. Clair River in Port Huron that began in 2010, is now open to the public. Desmond Landing started out as a mile-long stretch of industrial wasteland, but now it is a beautiful shoreline with suitable habitat for fish and wildlife. With a restored and naturalized shoreline, the River Walk is safer and has more places for public to access the water in this urban landscape. Native plants are critical to this habitat project in that they will produce the most suitable habitat for native fish and wildlife and offer protection for the shoreline. Keeping invasive plants in check is an ongoing project which Friends of the St. Clair River is spear-heading with local volunteers. Get involved! No fishing pole? No tackle box? No problem! The Blue Water Sportsfishing Association has got you covered! They have made available fishing equipment including a rod and reel combo at each of the St. Clair County libraries branches. You need only your library card to check these out for a period of five days. No fishing license? Also no problem! River Day corresponds with Michigan's Free Fishing Weekend giving you the chance to drop a line on this weekend without a license. Looking to get out on your own and enjoy the water trails from Anchor Bay to Lake Huron? 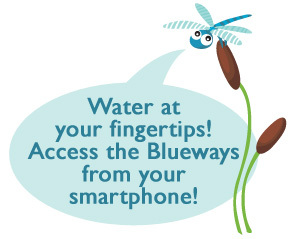 The Blueways of St. Clair website offers sixteen different paddling routes on eight different waterbodies for you to explore. Print off the maps to bring along on your journey. This website is now available to smart phones! Access the website while on the water in your kayak or canoe and post a story of your trip to share with others. Currently there are four ADA canoe and kayak launches provided by the St. Clair County Parks and Recreation Department. They are located at North River Road Park in Fort Gratiot, the city of St. Clair boat harbor, the Marysville boat launch on River Road, and Baker’s Field Park in Port Huron Township. Show your love for the water by contacting the St. Clair County Health Department at (810) 987-5306 or riverday@stclaircounty.org. ©2009-2016 St. Clair County Health Department. All Rights Reserved.